Picking a family holiday destination can depend on a lot of different things. Each year, travel agents offer incredible deals to places all over the world but for many families, the typical hot spots can start to feel overrun with tourists or become routine in their predictability. There’s nothing more incredible than taking your family on a once-in-a-lifetime holiday but sometimes it’s hard to know where to find such a thing. For families looking to mix things up this year, consider some of these unusual holiday ideas that you should still find on a holiday comparison site or suchlike. Parents and kids alike will relish the wonder and excitement that come with visiting exotic locations and it’s a great way to immerse your family in a different culture and way of life. A trip to northern India is one your family will never forget. Visiting some of India’s most incredible cities like Delhi and Jaipur are the perfect bookends for a trip to the famous National Park that India’s Royal Bengal Tigers call home. The best way to experience the park is to take a jeep safari with trained guides who know all kinds of things about the park itself as well as where to find the tigers. Some of the last known of their kind on earth, parents and kids alike will forever remember witnessing such an incredible natural environment and the wild tigers that live there. Rio is a great jumping off point for a Brazilian adventure. You can get acquainted with the food, the language and the culture before heading further afield to sites like the Amazon, Pantanal or the world wonder Iguazu Falls. 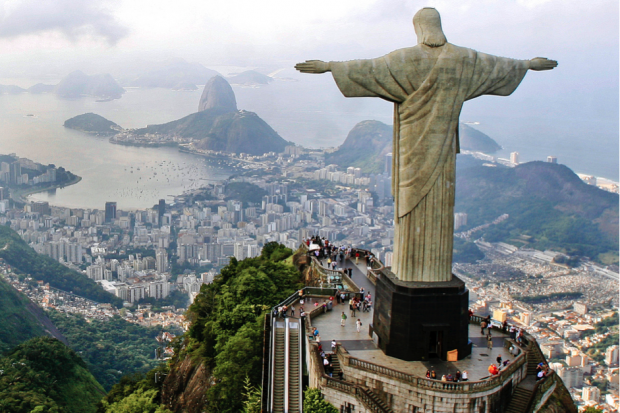 In Rio you can take jeep tours through Tijuca Rainforest, a cable-car to Sugarloaf Mountain and see the ‘Christ the Redeemer’ statue atop Corcovado Mountain. Rio also has plenty of white sand beaches so you and your family can experience the famous Brazilian beach culture in all its glory. The city is also the perfect point of departure via plane, bus or train to all of the country’s natural wonders which are also well worth a visit. Specifically designed for families with young children, this holiday offers something for all generations. You can walk alongside mules carrying your young children through some of Morocco’s most magnificent scenery. The route begins by visiting Marrakech where you’ll encounter fire-eating entertainers and labyrinthine markets full of vivid colours, sounds, and smells that will transport you to another time. Setting off on the safari itself, you work your way through the ancient Atlas mountains, visiting indigenous Berber villages along the way. Food and accommodation are typically included in this type of package so you can focus on what’s really important – spending time together in an exotic and breath-taking part of the world. David Sprizer is a father of two who loves writing and relishes spending time on holiday with his family.